Thread: Rich's New Beginning: WNBF Pro Stage in 2009! I first stepped onto stage 3 years ago in October 2005. 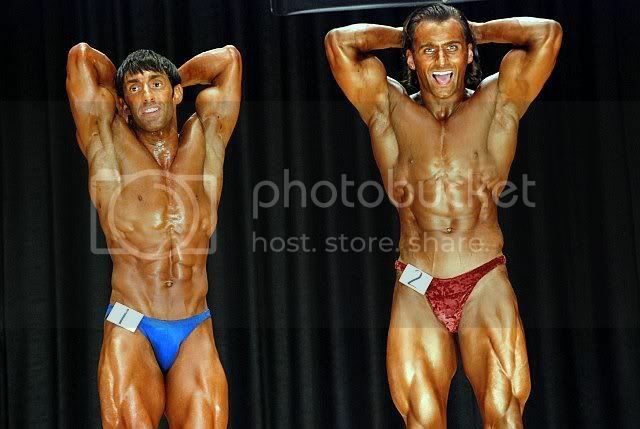 I went onto surprisingly win my class in both of my first shows and was inspired by a few judges to chase the dream of "Pro Card" in natural bodybuilding. 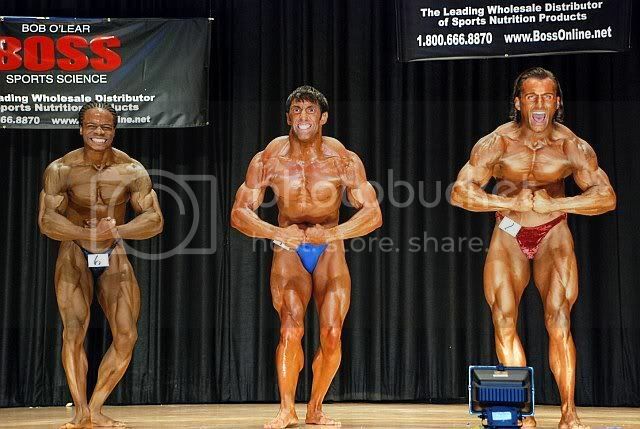 After a good run in the spring of 2007 with winning the welterweight class at the NPC Natural Ohio, I decided to do my first pro-qualifier, the INBF Naturalmania Nationals in September 2007. I chose the WNBF because it represents the best in natural bodybuilding. The competition was a close one at the Naturalmania as I took 4th and placed just a point off from the tied 2nd and 3rd place finishers. Close, but not good enough as the pro card winner was clearly the victor. So, I set the goal of coming back the next year to hopefully earn my WNBF pro card. The next year was pretty much dedicated to improving and bringing a better package to the Naturalmania stage. 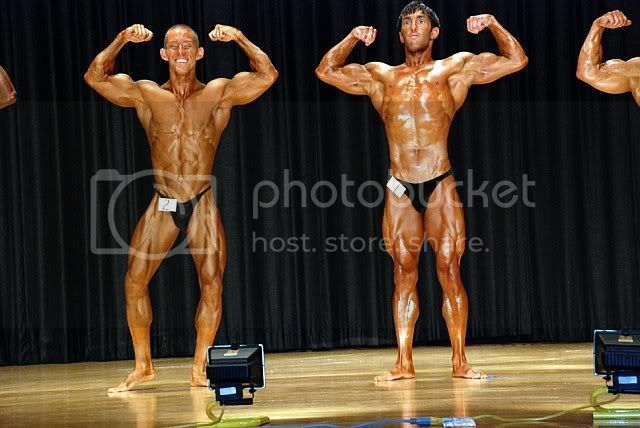 During that time my training partner, James McGuire, missed his WNBF pro card narrowly in 3 attempts. I trained more intensely and harder than any show before. And I truly mean "New Beginning". I have recently been Saved & Baptized, am newly engaged to be married by the end of the year and have begun my offseason prep for my WNBF debut. Yeah, WOW!!! Oh, throw in the fact that I recently made the jump into full-time training in April ditching my corporate banking gig. AND, I am promoting the inaugural INBF Natural Buckeye Classic next May with Max Muscle Sports Nutrition of Columbus. Truly, my New Beginning. So, this will be an interesting and wonderful ride folks this next year and beyond. My top priority is to my fiance, our upcoming wedding and beginning our life together. I need to bring more balance back to my life the the rigors of precontest prep have ended (and I am sure she is thrilled). She is a big supporter of my bodybuilding and she really enjoyed herself this past weekend being backstage, cheering me on and watching my dream come to fruition. We are planning a small wedding in Vegas for mid-November. So, as required by earning my WNBF pro card, I must compete within 12 months of first earning the card. 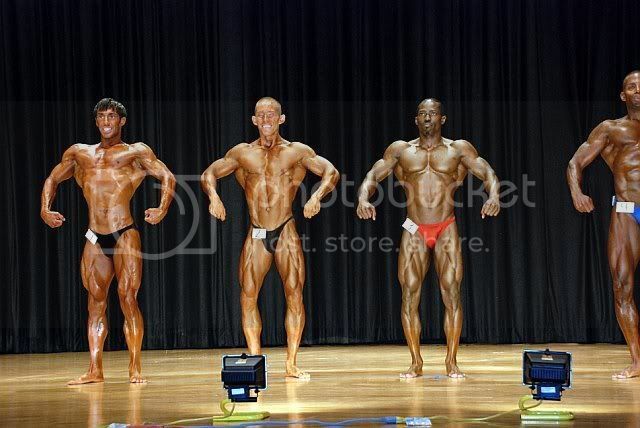 I am looking to do my first WNBF pro show in either August or September of 2009. I will decide after the new year. - Adding upper body thickness particularly to arms, my upper chest and shoulders. - Continue to improve my conditioning. I achieved an all time personal best, but I know I can be harder yet still and will need to be for my pro debut. I plan on staying leaner than before this offseason to make this more easily attainable. - Add more detail to my hamstrings and size to my lower lats. They are good but could be better relative to my very strong quads and upper lats. This training split is designed to best grow my upper body and accommodate my lifestyle. This diet is meant to be a change of pace for me, effective and economical since I recently dropped a bunch of dough on an engagement ring and am tight. I am VERY thankful for my sponsors Controlled Labs and Max Muscle Sports Nutrition of Columbus. Without them, I would not be able to maintain my bodybuilding lifestyle. New beginnings. I love it!! While I say that, realize this week I am easing back into training since I have not trained to failure for 2 weeks. I am training to failure, but holding back a little to prevent injury. So, it is form check time and I am focusing heavily on feel making exercises as difficult as possible with very strict form. I am pretty sore from this one! Quads, glutes, hamstrings, calves, everything. The box squats recruited more hips and glutes, which I would like to strengthen. This was an awesome workout as well, and am feeling this one too haha. Felt very swole during this workout. Pounded some buckwheat pan***** with a little natural peanut butter and fruit jelly with breakfast. FYI, cheating is every 3-4 days for a meal of whatever I want. I had some steak nachos, a chicken burrito and the some Coldstone with my dad who was down for the night. good work with tthe past and best wishes with the future man. Sounds like your headed in a good direction! U know it! I will be taking things to a WHOLE new level!! I will have a little sit down with my training partners to let the know what is up as we all have big goals for this next year. My plan is to first do a 6-week attack in a moderate rep range (8-15). Then, I plan on doing a 12-week Power phase and also a 12-week phase training with Mike Davies at least once per week. Haha, my trip to Vegas will be a little different. No gambling or boozing for me. We plan to invite roughly 25 of our closest friends and family. It will be awesome! Thanks very much!! I am very blessed and thankful for the direction my life is heading. Very psyched!! man with a plan, I like it. Yes, it was a busy day. I was in the gym training clients from 9am till 9pm with a little break to come home, cook a few meals, work on contest promoting stuff and shoot some emails. Did I mention wedding planning too! Angie and I are getting married this Saturday, November 22 at the Wynn in Vegas. It is official. I will not forget that date! And, yes it is only 7 weeks away!! Reception, engagement party, registry, my ring, rehearsal dinner and all that good stuff was all discussed today too. And, me getting my pad ready for her to move in after the big day too. My poor fiance is dealing with quite a bit of stress in all of this. 7 weeks of stress beats 7 months of stress though! Amidst the wedding planning, Max Muscle and I are moving forward with planning our contest, the INBF Natural Buckeye Classic next May. The final details are being arranged, so that on Oct. 18 we begin full throttle promotion at the INBF Cardinal Classic in Youngstown, OH. Flyers and venue are being finalized. We are also considering adding a Mr. Fitness division. This show will be a BLAST! Heck, I just spoke to 4 more new people this week who are interested. Ah, my "Recess" for the day, chest smashing!! It was my first chest day back hard in over 2 weeks. I was weak, but boy I got a killer pump! Even my tris and delts were swolen. Oh, and my boy James McGuire was back at it with me. I talked to him about taking things to another level. James = WNBF pro card and me WNBF pro debut. He is ready and you know I am! B2- DB Pushups w/ Semi-Sup Grip BW x 10 x 8 and DONE! Had a good day of eating today, following a little off day splurge yesterday of some nachos and pretzel bites with cheese at the movies with the woman. Cinnamon Banana Buckwheat Protein Pan***** ---> SO GOOD! I decided to sleep in a little and rest up after the long day, since I had only evening appointments today. Gotta rest to grow! Chest is feeling larger and sore today, woot, woot!! The morning and afternoon though was jam-packed with wedding planning though. Jeff and Clint from Max Muscle also met with me this afternoon to work on some details on the Buckeye Classic. Today, I was officially announced as THE trainer for Nationwide Insurance's Wellness Center as a partnership with Metro Fitness. At 2pm, the announcement went out to their 4500 Wellness Center members. By this evening I had 14 emails and 3 voicemails. I am about to get busier! I forced myself away from wedding planning for this killer back workout. This was the last of my first week back, so the intensity will be going up from here. The last three moves I only did 2 sets cuz it was already killing. I train back with hard squeezed, controlled negative and exaggerated stretches. Stress is down a little today, which is good. I was up pretty early today, so I added another meal of 5 oz 90% lean ground sirloin and 6 oz of sweet potato. I trained legs, so there was no way I was going into that workout underfed or hungry. This workout was a little more high-paced and superset style as I was training with a figure client who is getting ready for her first competition in 2 weeks. My strength was much improved over last week as I am getting back in the groove. Eating has been rather clean this week for just finishing competing. Since, my treat on Saturday I have limited myself to pretzel bites and cheese at the movies and one of Cheryl's cookies yesterday. Tomorrow night I am taking the fiance out for dinner. Ooo cookies, I love cookies. What kind? Haha! You crack me up. I think you are seriously in Constance's head about cookies. She won't stop talking about it. Mint Chocolate Cheryl's style. Have you ever had Cheryl's cookies? Google them and order some as they are the BEST ever! Seriously. Thanks man! Yes, big things are on the horizon!! Yeah, you definitely gotta get some!! I am telling you, they are THAT good. I had both James and Greg with me today to crush our shoulders. It was good having all three of us back at it. Strength is going up rapidly. Time to grow!! FYI, my shoulders are already sore....SWEET! Slammed some Coldstone ice cream and pizza with the woman tonight for a treat! I am still full, haha. Not too bad after weighing in 2 weeks ago at 163 lbs at my show. Slow and steady is the goal for gains, so that I stay lean.